Charlie Hewblen relies on cycling. The 36-year old resident of Burlington and year-round bicycle commuter used to own a car, but he gave it up when the mounting costs of fuel, repairs, and insurance (which can average over $5,000 a year) outgrew his budget. Now, every day he commutes by bicycle the three miles to his job at Spare Time in Colchester. He does most of his shopping and errands by bike as well. “I don’t even want a car anymore” says Charlie. “Riding is a good way to start and end the day”. On days off, he often rides for leisure. Whether you do it for exercise, for the environment, or for a quick escape, cycling is an admirable way to get around. It’s catching on too. From 2010-2016, the state saw an estimated 33% growth in bicycle commuting. As people realize the benefits of cycling, more and more are choosing to pedal for transportation. But for many folks like Charlie, commuting by bike isn’t a choice. They depend on bicycles for everyday transportation because there are no other viable options. A car is too expensive, walking is too slow, and Vermont’s public transportation is limited. Charlie takes advantage of the Everybody Bikes Program at the Old Spokes Home Community Workshop. While much less expensive than an automobile, buying a bike, lock, helmet, and lights, fixing flat tires, adjusting brakes and performing other maintenance tasks can be too costly or daunting. Everybody Bikes lowers these barriers by making bikes, accessories and repairs affordable for all income-eligible residents. Thousands of Vermonters have obtained affordable and active transportation through this program since 2005. An estimated 15% of the state’s population has no access to a motor vehicle. Many of them rely on a bicycle to get to their job, school, and critical appointments—but unlike those fortunate enough to have access to a motor vehicle for transportation, their infrastructure needs are not being met. The vast majority of bicycle commuters travel on roads that lack protections for bicyclists. And while cycling is often the most efficient way for them to get from point A to point B, it is rarely the safest. One community that’s relatively bike-friendly—Burlington—aims to double the percentage of bike commuters by 2026. Its Walk Bike Master Plan will add protected bike lanes and other design changes to city streets that will minimize the risk of collisions between bikes, cars and pedestrians. The plan calls for street alterations that increase safety and predictability, and reduce the potential for human error. Commuters like Charlie can look forward to safer streets that are maintained year-round. Commuting to a job outside of Burlington is tough. Arterial roads are dominated by cars, with little or no space dedicated to bicycles. Unfortunately, they may need to wait awhile. The timeline for implementation of the Plan is markedly conservative and the City is already behind schedule. And even with the Plan in place, biking to and from Burlington will remain hazardous. 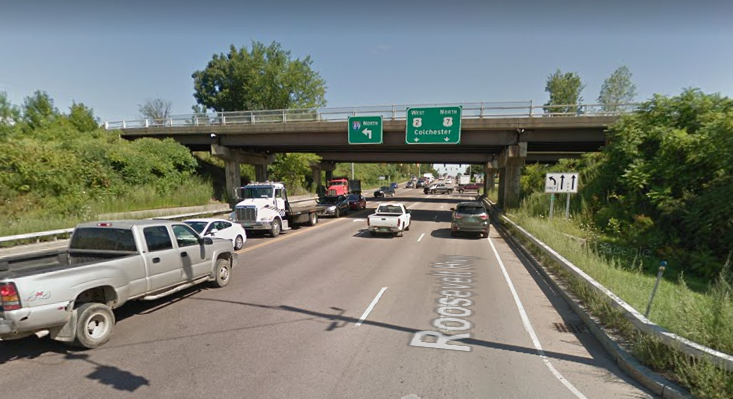 All the arterials connecting the city with neighboring towns lack safe bicycle infrastructure, and road shoulders are not well-maintained. “Rough roads are tough.” says Charlie, “I try to avoid them, but sometimes you have to take the bad ones.” Bike lanes and shoulders are rarely as well maintained as the travel lanes used by cars, so when there is too much snow, he has to walk the three miles to work. In June, the Island Line Causeway, a path that serves mostly tourists and recreational riders, was badly damaged in a windstorm. Weekend riders and tourism-oriented businesses advocated for the Causeway's repair. The path was quickly returned to a safe, rideable state. While restoring the Causeway was welcomed, the investment did not help folks like Charlie get to work more safely. Dedicating resources to repair a recreational bike path while roads remain unsafe for bicycle commuters displays a bias toward those who bike for recreation, when in fact there is a significant portion of our population that use bikes for transportation, not just for fun. Those members of our community who rely on biking to get to work and school have the same right to a safe transportation infrastructure as those of us privileged enough to be able to hop in a car when there is no safe bike route. Policymakers have a responsibility to provide for safe transportation for everyone. Laura Jacoby is Old Spokes Home's first executive director as of October 2016. Before joining Old Spokes Home she worked with non-governmental organizations (NGOs) founded by Syrians and Iraqis to respond to the crises in their countries. She is grateful to be back home and part of a local effort to ensure equitable access to clean, active transportation and the opportunities created by such access. Sammy Hedlund is the Marketing Director at Old Spokes Home and a UVM student. He is a lifelong bike commuter and a proponent of all things bike-related. He has served as President of the UVM Cycling Team, worked as a professional mechanic, and volunteered as a high school mountain bike coach.